Fill out the form below, and we'll contact you shortly. 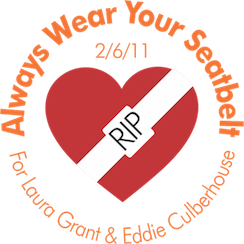 Will you always wear your seatbelt, if not for yourself, for Laura and Eddie? Around the globe, awareness of the “Always Wear Your Seatbelt” mission is growing. Our friends and followers share awareness moments on Instagram. Check out our feed below to see what we’re up to.